Ignovation: Did Scientists Just Find a Permanent Cure for Malaria? Did Scientists Just Find a Permanent Cure for Malaria? 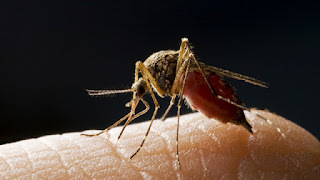 Researchers at the University of Cape Town in South Africa have developed a pill that can wipe out malaria with a single dose. It's a development that could save millions of lives in Africa alone, not to mention the rest of the world. But there's a teensy weensy little hurdle that must first be overcome: human testing. Yes, that it hasn't been tested on humans leaves a big question mark, but according to National Geographic, early tests have proven extremely effective. Unlike conventional multidrug malaria treatments that the malaria parasite has become resistant to, Professor Kelly Chibale and his colleagues now believe that they have discovered a drug that over 18 months of trials "killed these resistant parasites instantly". Animal tests also showed that it was not only safe and effective, but there were no adverse reported side effects. Clinical tests are scheduled for the end of 2013. If this tablet is approved in coming years, this achievement will surely usher in a new age for science in Africa. It will save millions upon millions of lives on the continent, helping avoid at least 24 percent of child deaths in sub-Saharan Africa.